The name of an apple can really draw one’s attention. One of the reasons why honeycrisp is so popular is because it has crisp in it’s name (a lot of newer varieties are coming out doing the same thing like Crismon Crisp, Evercrisp, Autmn Crisp, etc). If it had some weird name like Red Bershaw (as far as I know I just made that up) it would not have the same appeal. I can admit to be attracted to apples with great names. At times when I have been faced with the choices of different heirloom varieties to try, I know if I don’t know anything about any of the apples, then name will have an effect on what I choose to try. 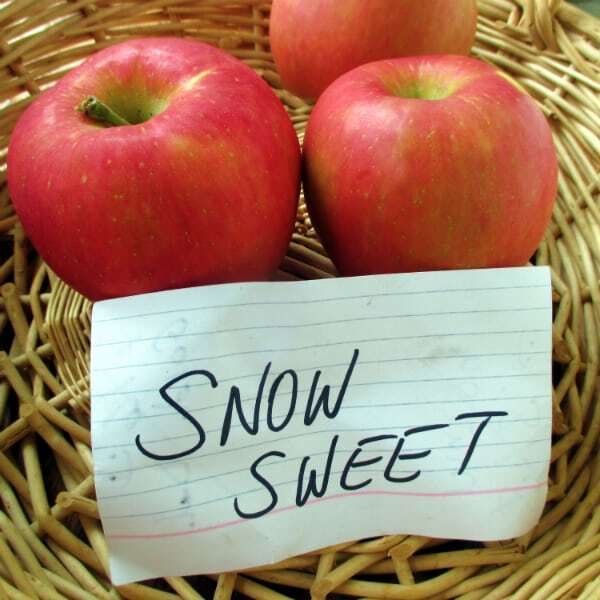 When an apple has a name like “Snow Sweet” – that is a name that is going to garner some attention, including mine. 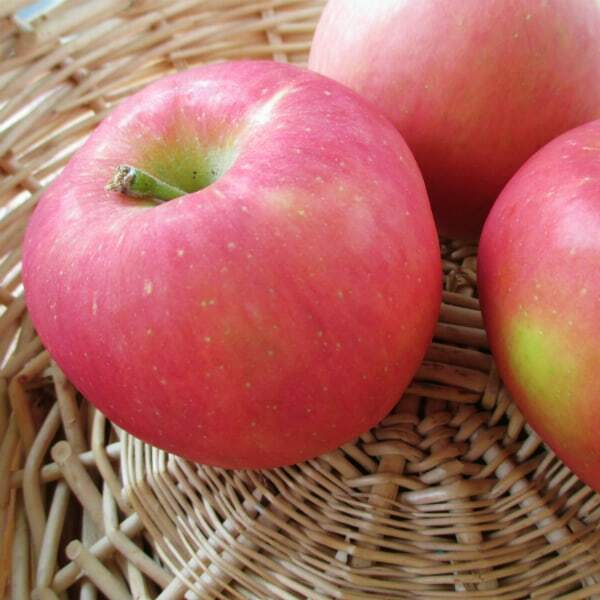 Speaking of Honeycrisp, Snow Sweet is an apple developed by the University of Minnesota, just like the popular Honeycrisp. Snow Sweet is a relatively new apple, only being introduced to the marketplace in 2006. Honeycrisp was introduced in 1991, but didn’t really take off until this century began. Snow Sweet got it’s name because it is slow to oxidize, so it stays whiter longer after you cut it – great quality for a salad or cut up for your child’s lunch. Overall Feeling: If you ever wanted the perfect example of what an apple should possess to make it a great everyday, out of hand, eating experience then this is. Snow Sweet is crisp enough without being too much to chew. It is sweet, yet has enough tartness to it that you don’t real like your getting diabetes by eating it. Talk about a juicy apple, I actually had juice running down my finger and that experience is usually only reserved for peaches and the occasional pear. The flavor is just as good as everything else I mentioned. Another winning variety from the people at the University of Minnesota. I would pick at Snow Sweet any day over their Honeycrisp.